North Carolina will lose more than $3.76 billion because of its anti-LGBT bathroom law, as it stands. This estimate flies in the face of Republican claims that the discriminatory law would not harm the state’s economy. The HB2 law, which states you must use the bathroom which corresponds with the gender listed on your birth certificate, will cost the state billions over the next 12 years if it is not repealed. Passed in March of last year, the law also excludes gender identity and sexual orientation from statewide anti-discrimination protections. PinkNews reported in September that the bill had cost a hefty $395 million, and that figure rose to $562 million by January, according to Truth Out. However, this latest figure, which comes courtesy of an Associated Press investigation, would see the state affected to a startling level. 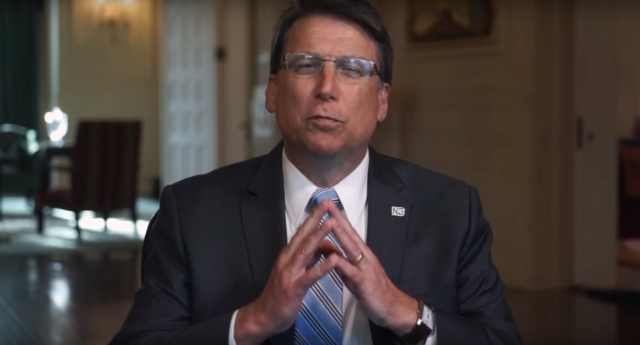 HB2 supporters have said its costs are tiny compared to a state economy worth an estimated $500 billion a year, but more than 2,900 jobs set to go to North Carolina have now gone elsewhere. The most damaging rejection came from money giant PayPal, which pulled out from a facility that would have added an estimated $2.66 billion and 400 jobs to North Carolina’s economy. Adidas, Deutsche Bank, the National Collegiate Athletic Association (NCAA), National Association for the Advancement of Colored People (NAACP) and former Beatle Ringo Starr are other prominent names who have pulled out from using the state. Dozens of conventions, sporting events and concerts have been lost from the state. The figure only includes events and projects which explicitly stated the HB2 law as a reason for backing out of using the state, AP notes. It also cannot identify how many companies have not even considered the state as a location because of the law, or will do so in future. Some companies which have left, including a television production by Lionsgate, were not included in the study because there wasn’t enough data about them. The figure is therefore likely to be significantly higher in reality. The US government reported that North Carolina had the nation’s tenth fastest-growing economy six months after the law passed, but this is likely to change if the law stays. The state’s new governor, Democrat Roy Cooper, was voted in in November, and has repeatedly attempted to repeal HB2 ever since. In January, he said he was “urging” lawmakers on the other side of the aisle to repeal the law, and would keep doing so.